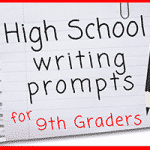 Use This List of Great Writing Prompts in Your High School Classroom— A unique list of 35 thought-provoking writing prompts especially for high school students. 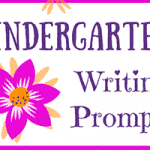 These prompts dig a little deeper than most so check them out today! The high school years are a confusing time—because they’re the first time when teens really begin to establish who they are, figure out what they believe, and find their places in the world. That’s why high school teachers have such a great responsibility to help their students sort through the confusion and complexities as they work to better understand themselves. 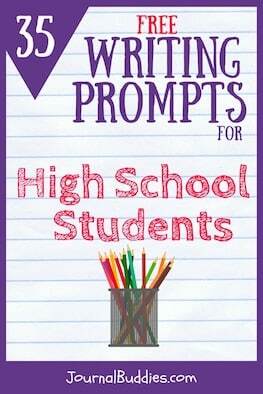 With that in mind, we’ve designed a unique set of 35 thought-provoking writing prompts especially for the high school classroom. These prompts dig a little deeper than most and afford students a special opportunity to reflect on who they are and what they truly want from this life. As they write and reflect on concepts like art, regret, life’s greatest mystery, and the things that make them happy, students will have the chance to get better acquainted with their own ideas and values—and with the individual traits they have to share with the world. As high school students write and reflect on concepts like art, regret, life’s greatest mystery, and the things that make them happy, they will have the chance to get better acquainted with their own ideas and values—and with the individual traits they have to share with the world. 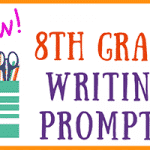 Use this all-new set of great writing prompts for high school students to help your class unravel and clarify their most important ideas! When did you first become yourself? Have you ever met someone who reminded you of yourself? What milestone makes someone an adult? How do you define “success” and “achievement”? What is your greatest success or achievement? If you could trade one aspect of your personality for another, what would you get rid of—and what would you want in its place? Write about the first time you felt guilt. What is the most selfless thing you’ve ever done? What do you think falling in love is like? 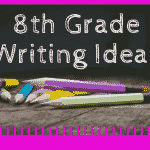 Write about a time when someone offered you something that you weren’t sure you should accept. Are you the kind of person who likes to look back or look ahead? Why? Do you believe in regrets? Why or why not? If you could visit any one famous place in the world, what would you want to see? Why? What is your favorite work of art (visual, written, musical, etc.)? Why does it speak to you? Write about one thing you know for sure about yourself. What emotion do you feel most frequently? Describe it. What is your spirit animal? Describe how you relate to it. What is life’s greatest mystery? Who is the most important person in your life? What does he or she mean to you? Is there anything missing from your life? How could you find it? What is the most artistic thing about your life? Is it something you created intentionally or that happened unintentionally? Are you interested in politics? Why or why not? Make a list of 20 things that make you happy. Write a brief sentence about each one. What would you do if you had to spend a full 72 hours by yourself? Do you think you would enjoy it? Why or why not? What is one thing that you will never give up, no matter what? Do you believe volunteering makes a difference? Why or why not? Write about a time when someone made you feel understood. When you are stressed, do you like to hang out with friends or to be left alone? Why? If you could leave a message for your great-great-grandkids, what would you want to say? Do you believe eating meat is animal cruelty? Why or why not? What is the greatest challenge your generation faces? Why? What will automatically make you trust someone? 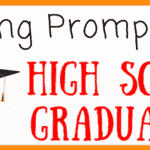 If you enjoyed these prompts for High School students, please share them on Facebook, Twitter, and/or Pinterest. I appreciate it!